The highs and lows of the first tri! This is also a hard one. I’d be inclined to say the morning I woke up with the severe cramping, but I actually think overall the 2 days of horrible nausea were worse. Worse because I really thought I was going to feel that badly for 2-3 more months. Thank goodness I was able to find a solution through medicine. I’m really proud of the level of activity I’ve kept up! During the past 3 months, I only missed a few days of exercise. On my worst days I took short walks, and on good days I went to Body Pump (twice a week almost the whole time! ), Cycle and lots and lots and lots of long walks. I only ran a few times, but that’s OK with me. I’d rather walk for an hour than run for 30 minutes these days. Walking rocks and I can do it anytime, anyplace, no workout gear or shower necessary. In hindsight it’s easy to want to change this, but I wish I had eaten a little bit healthier from weeks 6-12. But I’m not sure I could have even changed it if I did it all over again! Honoring cravings for things like cheese or red meat is one thing, but there were also times when I just couldn’t figure out what would make me feel better and ate too many sweets. But overall, I think I did a good job with nutrition given the circumstances of my stomach. 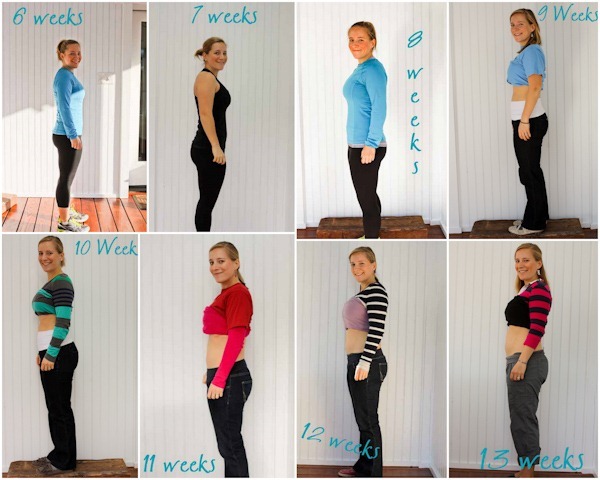 How long it takes for the bump to appear! Even though I began to notice physical changes in my stomach around 8 weeks, at the end of the first trimester, my stomach is pretty much still flat if I stand up straight. I had no idea how long women spend pregnant without any kind of bump! 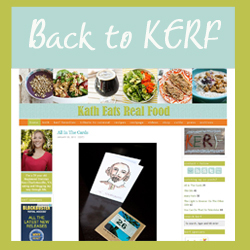 I love both your blogs, and have been a KERF reader for years! I didn’t start showing with my first until I was in my 5th month. Looking back it seems that I had a real bump for a short time only. I loved pregnancy except for the first trimester because I had slight nausea but mainly because I stopped feeling like myself. I was more emotional, didn’t feel like going out and socializing all that much. From the 2nd trimester on wards I loved every minute. Hope you have a smooth ride all the way to the baby’s debut! One of my most challenging moments during my pregnancy this time around was the nausea–thankfully, I have not had it for a few days! The nausea literally had me couch or bed ridden most days, and I felt like I could not get anything accomplished. I am glad that I feeling better, though, now! It surprised me too how long it took for a bump to appear! I’m 24 weeks now and there is no denying it but it def. wasn’t until 19/20 weeks that strangers started commenting (which is a whole ‘nother can of worms! 😉 I still prefer to wear form fitting maternity clothes b/c that makes it obvious that I’m pregnant and not just helping myself to lots of doughnuts. it is incredible how much women crave a bump, i certainly did. and as much as i wished i had enjoyed being pregnant like some women say they do —- i definitely had a period about 4 weeks post partum where i so badly missed being pregnant and missed the belly. itll be so fun once the bump arrives! mine came very late like 7 months, i think its genetics and then overall metabolism and build. I love looking at all the pics, all at once. Very cool! They are hanging out in the nursery, eagerly waiting in Matt’s old baby rocking chair. i don’t think they realize they have a long time to wait yet! Love that you’re using his old rocking chair. Nice to see the things from both of your families/childhoods in the room! Can’t wait to see the Home Neat Home post for the nursery. I think it would be nice if they would let the Bears choose the name for the baby. What’s weird is how the bump sort of comes and goes from week to week too (at least in my experience so far.) At 19 weeks, no one has yet to acknowledge my bump in public (maybe they’re just being polite/cautious?) Have a feeling things will start to change quite a bit in the coming weeks. I think you have done an AMAZING job with exercise and eating right… you’re doing way better than me and I’m not pregnant! 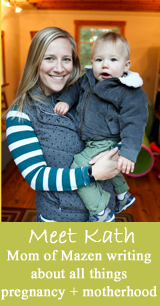 Your baby is lucky that you love him/her so very much! Love the pics! I too thought it took a while for the bump to appear when I was pregnant with my son. One day, you’ll literally just pop and have this nice round tummy to rub. I think I’m almost there at 16 weeks today! I can’t wait until the posts are actually happening in real time. I find it kind of weird to read a past-tense diary type blog when so much is happening to you NOW that you’re not writing about. It’s just kind of distracting, if that makes sense? I am loving reading your posts! 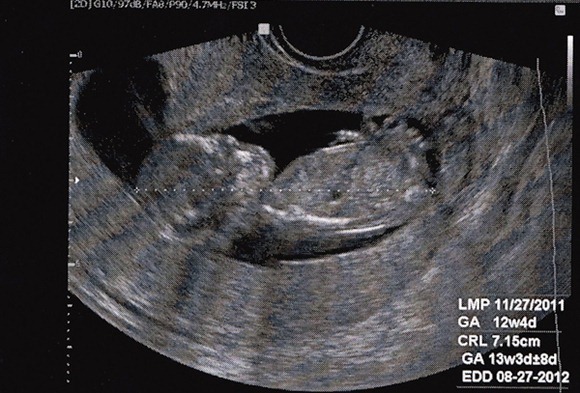 It is totally bringing back to my first trimester at this time last year. I had pretty much all the same cravings and aversions you do! It took me awhile to start eating all that stuff again, but I definitely believe in honoring cravings while pregnant! I really didn’t have a noticeable bump until about 20 or 22 weeks. Maternity tops helped make it look like a bump but really I didn’t pop until after we knew we were having a girl. I can definitely see a tiny tummy poking out now compared to your six weeks picture. I think you will be one of those people that wear pregnancy well. Most people find that the bump appears a lot more quickly with later pregnancies, so make the most of it!! I have a question, when are you going to break the news to the bears…and how!? Maybe she could bring the bears for her next ultrasound. Same with you on the vegetables, I think I had to throw away some poor salad ingredients because I couldn’t stomach them and they had gone bad. Around 8 weeks we went to my husband’s company retreat in Napa Valley. We stayed at Meadowood which was AMAZING and had some great food, but I had to skip the wine tasting outing 🙁 and pass up some amazing and expensive wines at the awards dinner!!! That was tough. But I had ‘given up wine for Lent,’ since we hadn’t told anyone but our families yet. I don’t think we fooled many of them in the end..
You are so freaking cute; I miss you already! Thanks for posting this. Even though I’m 32, I know I’ll never have children, but your recaps and posts help me to understand what my friends who are on their first or second (or third!) kids are going through.